We’ve been conditioned for decades to follow the design of round watches, but sometimes the endless parade of circular watches can get a little monotonous. But what about square watches? A watch symbolizes time more than any smartphone does. Accuracy in a watch that costs thousands of dollars is critical, of course, but should pretty much be a guarantee because these timepieces are produced by the world’s finest watchmakers. But does an expensive watch mean it’s sophisticated? 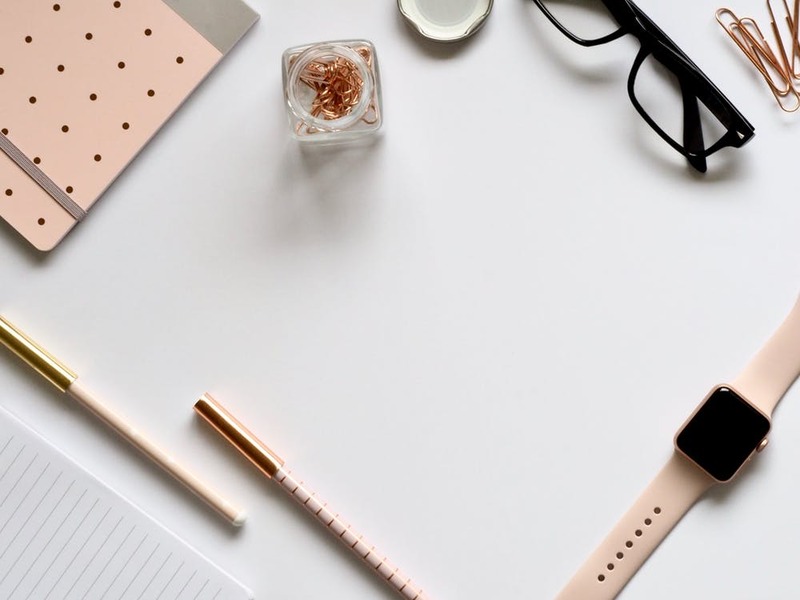 The characteristics to look for when choosing a luxury watch primarily includes appearance, functionality, and prestige. And that is where square watches come in. A square shaped watch is not only modern but pleasingly retro as well, offering something that’s both classy and contemporary. Square watches are perfect if you’re up for wearing something slightly unusual but still stylish. Square or rectangle watches don’t get the props they deserve when compared to their rounded counterparts. They combine the classic style of yesteryear with a modern appeal and can be worn casually with an open shirt or dressed to the nines with a suit and tie. So, this time when you shop for a match, forget the boring round-faced watch. Instead, go for a square-shaped one. These will surely look great, and it will catch the attention of many for sure! Confused about which square-faced watch to go for? Here are some options you can check out. A women’s watch is a piece of jewelry that must look attractive and chic. Featuring outstanding quality, craftsmanship and design, these watches are some of the top timepieces available and the ultimate way to adorn your wrist. Have a quick overview of a few of the most sophisticated pieces available with a square dial. Jaeger-LeCoultre has a full history of innovating Swiss watches. 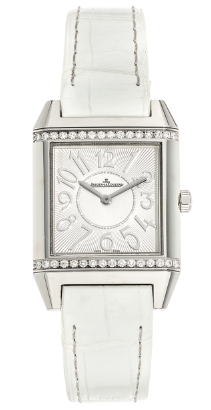 It is also known for manufacturing Reverso some 85 years ago which was introduced as a luxury reversible sports watch. The reversible case was invented for wearers to protect their face during polo matches. This iconic reversible design has been a statement timepiece to complete your look since then. The Squadra Lady Duetto has an elegant square face. It comes in a variety of options, for example – a white rear dial with a visible oscillating rotor. Some has a rose gold case that’s water resistant. The square watches face can be placed on an alligator leather strap. Moreover, the automatic self-winding movement is as precise and sophisticated as you would expect from any Jaeger-LeCoultre watch. Similarly, the impression this timepiece makes is as memorable as you would hope to get from a watch! 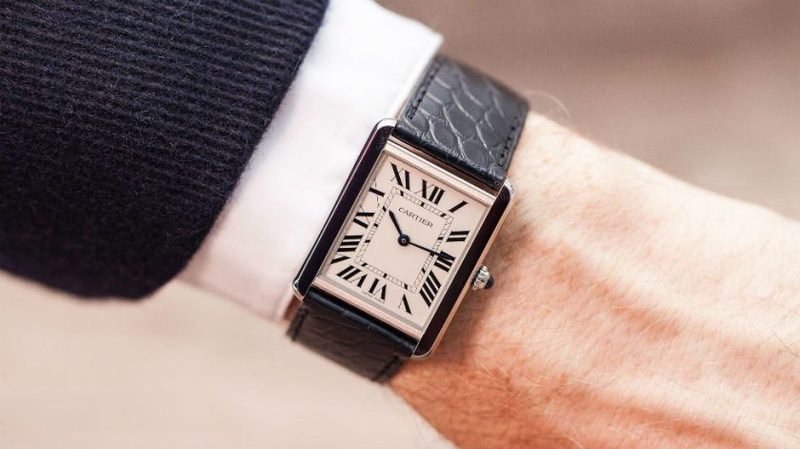 When it comes to square watches, Cartier’s tank solo is definitely a big part of that convo. The legendary Tank watch is an icon of modern watchmaking. It represents the perfect balance between technical excellence and geometrical style. The modest, modern design of the Tank Solo watch envisions royalty from the moment it first appeared in the Tank collection. 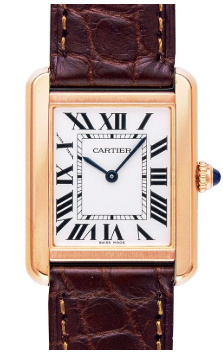 The Tank Solo is a well-known Cartier watch that’s been popular for its exquisite design. An instant classic, the watch has a rectangular face and slanted roman numerals. All in all, the watch adds elegance to your personal style. A watch is such an accessory that a man can wear every day. In fact, you can build a whole collection and wear the one that suits you and the occasion. It’s your own signature piece — something that you wear so often that people end up identifying it with you. Inspired by Ralph Lauren’s flagship luxury store 867 Madison Avenue, New York, this watch is an absolute beauty. This timepiece has a few versions, including colors like black and white, both available in 18-karat rose gold or 18-karat white gold. It has a 35mm x 35mm square-shaped case. Meanwhile, the stainless steel bracelet has a retro feel, and the watch face consists of an off-white lacquered dial with Arabic and Roman numerals. It features great shape, proportions, and mechanical movements inside, making it quite an alluring package. The Ceramica is a modernist’s dream, with its clean lines and high-tech ceramic case and bracelet. It comes in a deep black matte color and includes bracelet clasps made from titanium and is powered by a three-handed quartz dial. Rado Ceramica is a sleek and lustrous beauty. The case has a contemporary slant and tapers to the wrist at the sides, and each bracelet link has an asymmetrical profile as well. A unique timepiece on your wrist becomes a part of your attire and reflects more about your personality. People buy and use wristwatches as they are and always will be in fashion. And they are available in a range of prices; even the most lavish brands such as Cartier, Jaeger-LeCoultre, Rolex, etc. Unmatched for their revolutionary designs and precise manufacturing, these names radiate prestige and grandeur. They can be a symbol of social status and they not just communicate a fashion statement but a technological one as well. Luxury watches are more than just simple accessories; they are wearable works of art and technique. With a unique shape like square watches have, you will surely leave people impressed!